Anne's Food: The future of food is... rotten? The future of food is... rotten? 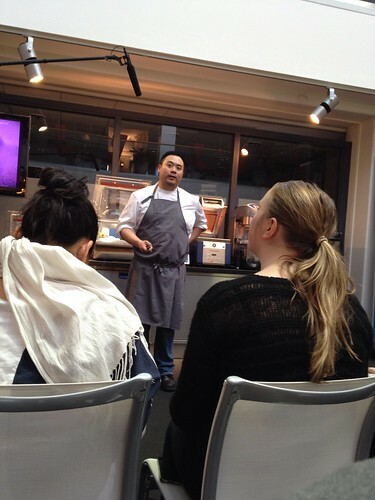 I did something fun yesterday - I went to a cooking event hosted by Electrolux, where the guest of honor was none other than David Chang! Yes, the David Chang - the owner of the Momofuku, in Sweden to accept his White Guide Global Gastronomy Award. Very cool. I nearly fell off my chair when I got the invite - and even more so when I kept on reading and realized it wasn't just David Chang, but also the very accomplished Swedish chefs Mathias Dahlgren, Sayan Isaksson and Magnus Nilsson. It started with David telling us about his food philosophy, and the work they do at the Momofuku lab, where they experiment with different stuff. Specifically, with different types of fermentation and... molds. Yes, molds. 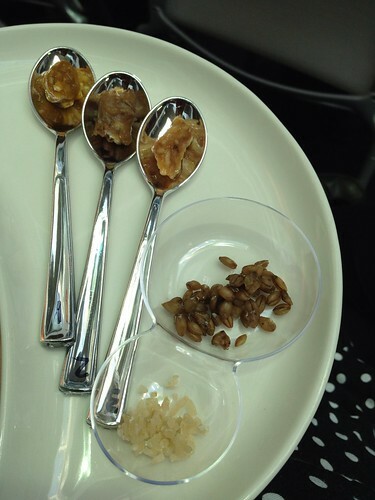 At this point, we were given a small sampler platter with fermented rice, barley, and three different misos - pistachio, almond and pine nut. Being pregnant, I did wonder about how safe fermented - moldy - food really is but in the end decided that I could at least try it. And I'm glad I did - the pistachio and pine nut misos in particular were awesome. Momofuku works closely with Harvard microbiologists, so I'm sure it's all perfectly safe, but it's still a fairly scary area of food preparation - nothing to do at home, for sure! 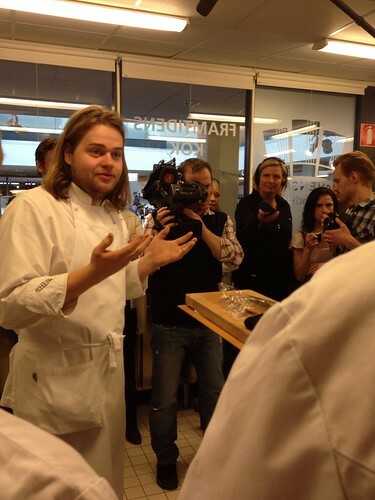 We then moved into the kitchen, where Magnus Nilsson let us sample some of his dishes from Fäviken. Apparently he, too, works a lot with fermentation. 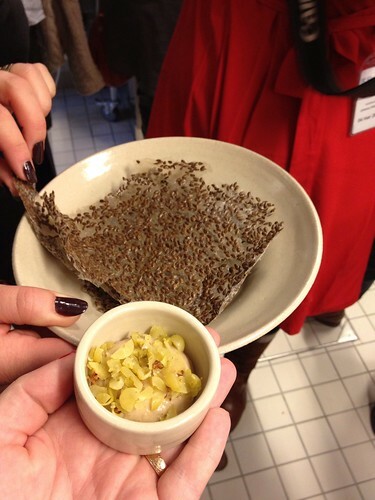 One dish was a cream from raw blue mussels, topped with fermented salted gooseberries, into which you dipped a crisp made from flax seeds. I'm not going to say it was the best thing I ever ate - but it was interesting. Next, a salmon marinated in a special sort of vinegar made from oats and mushrooms, served with a sauce from fermented oats and something with carrots - didn't catch exactly what, though. 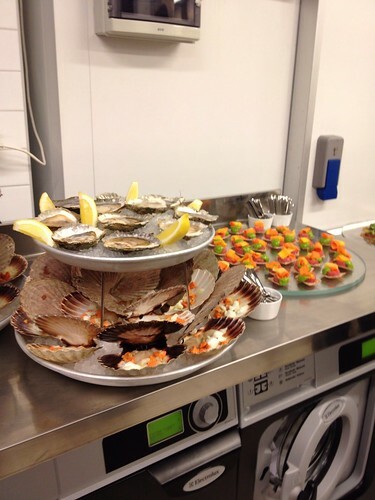 And then more food, served by the Swedish culinary team. Most of it was, sadly, not ideal for preggies, so I stuck to a delicious sourdough bread with a fantastic butter, a cured ham (that's not considered completely safe either but I decided to risk it) and a little dish with potato pancakes, roasted pork and salted cucumber. Yum!